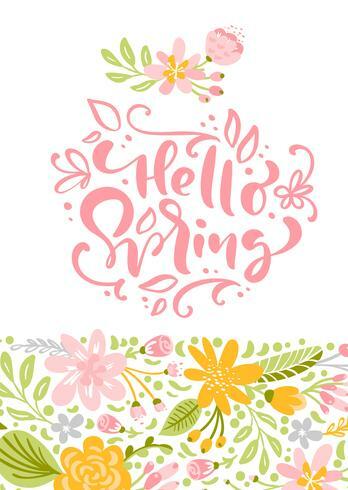 Flower Vector greeting card with text Hello Spring. Isolated flat illustration on white background. Spring scandinavian hand drawn nature wedding design.